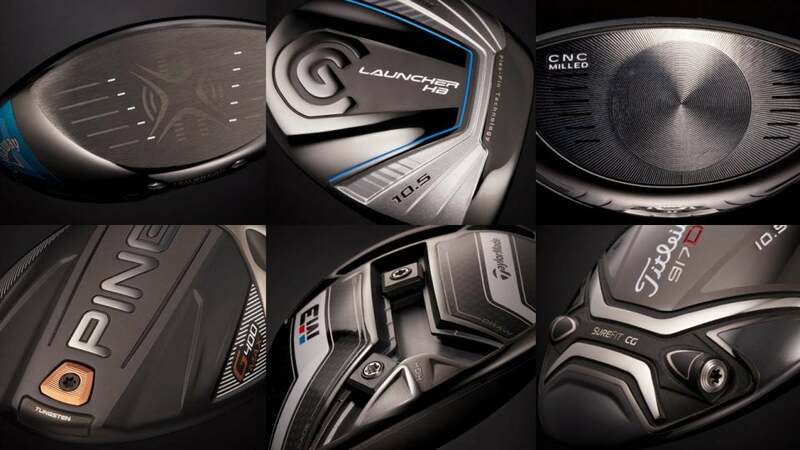 Read through the six driver technologies shown here with an eye toward finding a new model that might fit your needs. ​ The F8 packs a lot of tech, but the coolest and best-looking item is the CNC-milled clubface. Designed to produce a more precise face thickness, the milling process allows for more production control than can be had with standard hand polishing, yielding a thinner structure and more ball speed at impact. Not surprisingly, the face in the F8 is Cobra's lightest and thinnest driver face ever, allowing for more weight to be distributed deep in the clubhead for a higher MOI and more forgiveness and stability at impact. And in case you're wondering, the circular milling pattern in the center of the clubface does serve a purpose: It looks amazing, and it tells you exactly where the sweet spot is located. ​ Although it came out last year, the 917 D2 (and D3 for that matter) features one of the most unique driver technologies around: SureFit CG. This design places a variable-weight tube in a hollow area in the sole to create a neutral, draw or fade bias. Not only does it allow for quick and easy CG customization, it can also be used in combination with the SureFit adjustable hosel to accurately dial in launch conditions to create the optimal ball flight and shot shape for your needs. As an added bonus, the hollow area that holds the weight tube is designed to run at an angle, so that the weight can be positioned to minimize the negative spin effects of heel hits (which normally go to the right) and toe hits (which normally go to the left).